Chair back features a curved, shirttail design. Urethane pads on hardwood arms. Pneumatic seat height adjustment. 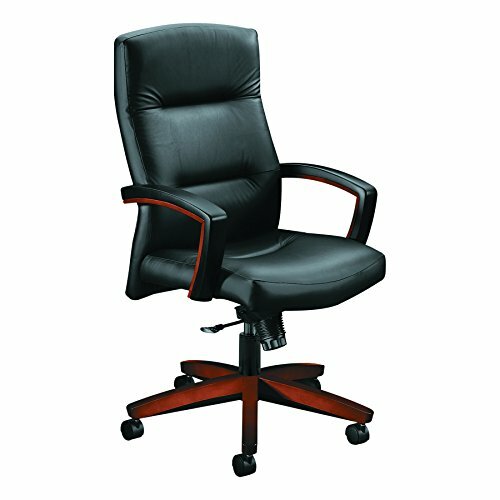 360-degree swivel. Tilt tension and tilt lock controls. Mid-range knee tilt for a more relaxed angle. Metal base with wood caps. Chair back features a curved, shirttail design. Urethane pads on hardwood arms. Tilt tension and tilt lock controls.